Page, Arizona holds so much beauty, despite it being a small town, with only slightly over 7,000 people. Page, Arizona is in the center of “Canyon Country” and can be found on the Colorado Plateau, at the southern end of the Great Basin Desert and the southern shores of Lake Powell. Page lies next to the largest Native American Tribe in the United States, Navajo Nation and the Navajo people represent the majority of the population in the area. 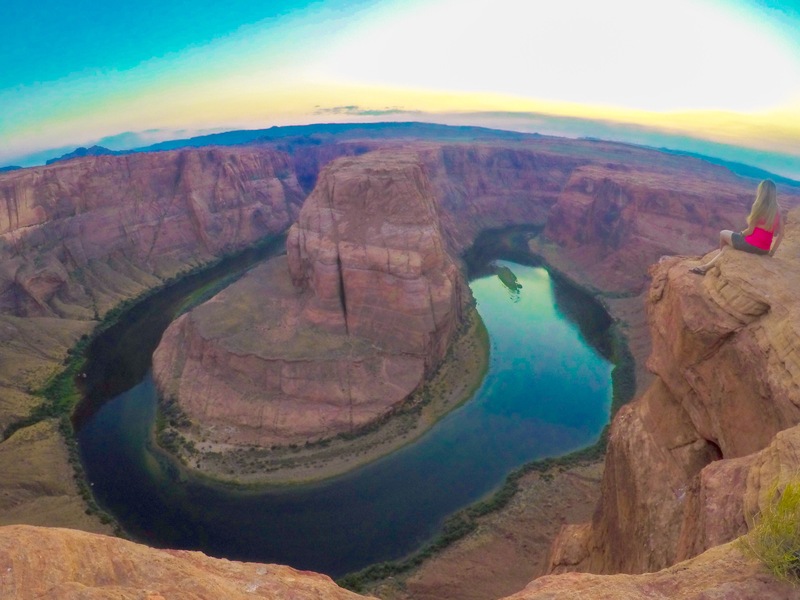 My first stop of the day was to Horseshoe Bend for the sunrise. 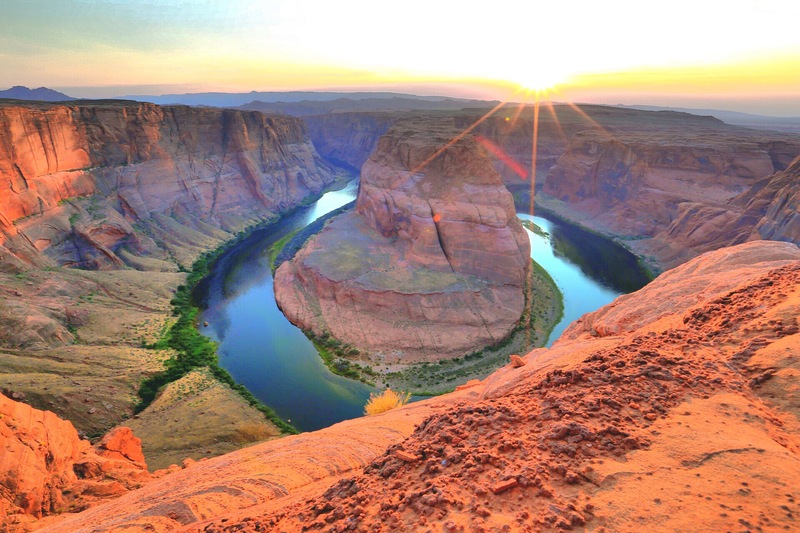 Horseshoe Bend is a horseshoe-shaped curve of the Colorado River located in Page, Arizona. There is a short hike to the bend itself, but worth the the view of the sought after photography sight. The colors of the water and rock surrounding the bend, change colors throughout the day. I have only visited during sunrise, but the colors were spectacular at this time. The 270 degree bend in the canyon was created by the Colorado River cuttind down the layers of sandstone, a long long time ago. In a few million years, this bend could change and possibly not have the shape of a horseshoe at all. To think you are looking at something that might not be, or be something completely different, is such a strange train of thought. Antelope Canyon is a slot canyon, located near Page, AZ on Navajo Nation Land. Antelope used to run free through Antelope Canyon, hence the English name “Antelope Canyon”. Antelope Canyon is not only a photographers dream, but also a very spiritual place for the Navajo people. To older Navajos, entering a place like Antelope Canyon was like entering a cathedral. They would probably pause before going in, to be in the right frame of mind and prepare for protection and respect. This would also allow them to leave with an uplifted feeling of what Mother Nature has to offer, and to be in harmony with something greater than themselves. It was, and is, a spiritual experience (Navajo Nation Parks & Recreation). Antelope Canyon, formed through erosion, has smooth sandstone walls, which change color depending on the time of day and the angle in which the sun is shining. It consists of Upper Antelope Canyon and Lower Antelope Canyon. A guided tour is necessary to visit Antelope Canyon, which can be found through a simple Google search. I took a guided photography tour, which was a little bit more expensive, but worth it. I also visited in January, so I was the only one on my tour and it was not very crowded at all. 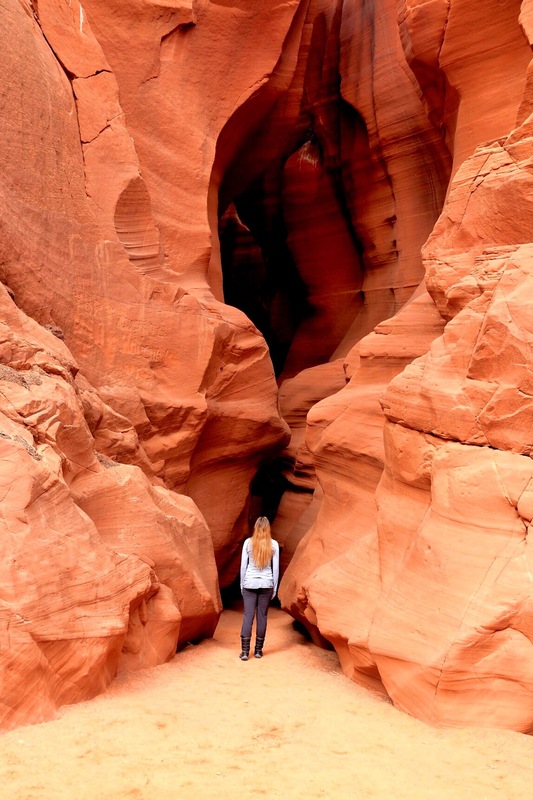 If you choose to visit during tourist season, there is only one path in Antelope Canyon and one path out, so if there are a lot of people, I can see this being frustrating and hard to take photographs without other tourists in the photographs. Slot Canyons have been formed by the forces of nature and typically formed in limestone and sandstone rock formations. Flash floods are a danger of slot canyons, and due to the length and narrowing of the canyon, it can be very difficult, if even possible for search and rescue to gain access. In 1997, 11 tourists died in Antelope Canyon due to a flash flood. A ladder system and other safety precautions have since been installed in Antelope Canyon. However, do not ignore flash flood warnings and stay away from slot canyons if there is any sign of rain or previous storms that day. Don’t be stupid. Page Arizona is what made me fall in love with the Southwest, which is why I am taking a travel assignment somewhere in the Southwest next! I am so eager to explore more and share more with each of you!